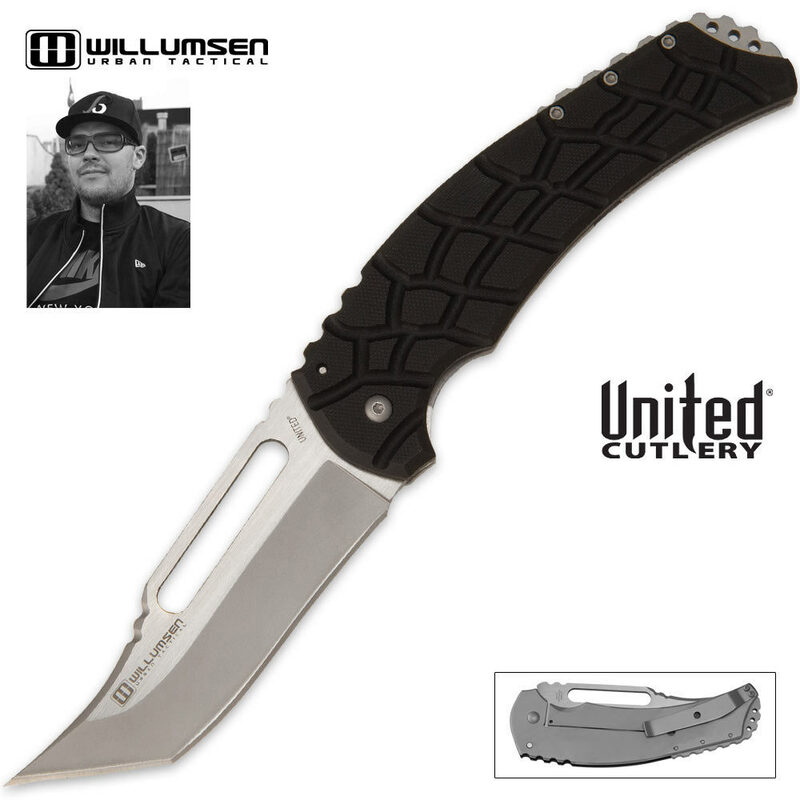 Mikkel Willumsen Blondie Framelock Pocket Knife Satin Blade | BUDK.com - Knives & Swords At The Lowest Prices! This Willumsen Urban Tactical Blondie folding knife has been hand-crafted with scrupulous details offering an exact representation of a Willumsen custom knife. I bought both the plain edge and the serrated edge with free shipping..both are great. Open smooth and very sharp..cant beat the price with free shipping. I believe they had the black model about a month ago as a BOGO..with free shipping. I took a look and was going to get it..went back the next day and it was GONE..maybe sold out I imagine.. But I have both satin models and am very happy with them..very 'mean' looking knives..